The GOT2000 boasts advanced functionality, acts as a seamless gateway to other industrial automation devices, all while increasing productivity and efficiency. Some products are regionally specific; for up to date sales availability, please check your local web page. USB host and USB device ports are included. 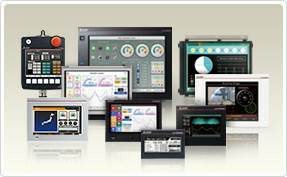 This section introduces communication units, optional units, options, and cables required to use the GOT2000 series HMIs.